I always thought it would be fun to have friends who were celebrities. But wouldn’t that be great to hang out with your (employed) celebrity pals, eating in swank restaurants or hanging out in cocktail bars where someone shows you to your table? So I jumped at the chance to mingle with the well-connected Karen Page and Andrew Dornenburg, who actually do sit around in restaurants with rich and famous people, and probably only go to bars that have people who seat you, instead of the kind of places I go where you’re lucky if someone looks up from their Le Monde to grunt and point. Because they get the inside scoop, Karen and Andrew have written a number of books interviewing chefs, restauranteurs, and sommeliers, and the book that left the biggest impression on me was Becoming A Chef, which I practically memorized when I was just embarking on my star-studded culinary career. I was a bit hesitant to meet them, though, since they hob-nob with all these fancy New York-type chefs, and here I was in Paris, writing poems about dishwashing tablets, getting my jollies buying Levi’s and ironing my neck. 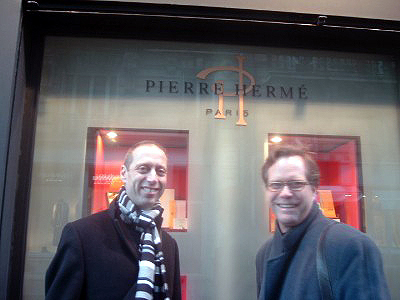 So when they came to visit Paris last winter (which is why we’re all bundled up in the photo) we made plans to rendez vous for un chocolat chaud at Christian Constant, I raced to get ready, (and I’ve since learned that it’s a good idea to take off your shirt before you iron it no matter how late you are). I did manage to get there, and just in the nick of time: Karen and Andrew had almost polished off what looked like a pretty formidable array of chocolate cakes and tartes. David: I’ve seen both of you attack a chocolate dessert here in Paris as if it was your last meal ever. If memory serves me correctly, you were hedonistically drinking hot chocolate at the same time. But to me, chocolate seems like challenge to pair wine with? Is there something you’d recommend? Many chocolate lovers (like us) would agree that great chocolate can be a peak experience in and of itself. But imagine being able to enhance the pleasure of a great chocolate dessert through pairing it with a beverage that will elevate the pairing into another stratosphere! 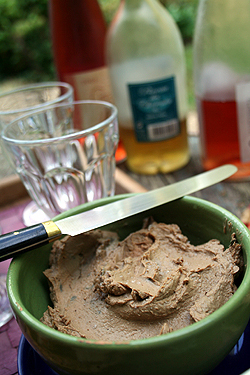 That is the potential of food and wine pairing — and for chocolate (esp. dark chocolate) desserts, it can happen with Banyuls (a French sweet red wine), tawny port, or PX sherry. But great pairings are not limited to wine alone! A chocolate stout or a fruit-flavored lambic beer (with essence of cherry or raspberry, for example) can be shockingly great with a chocolate dessert. And just last week we had one of the best cocktail-and-food pairings of our lives: a Chocolate Decadence Martini (made with Chopin vodka, Godiva chocolate and white chocolate liqueurs, etc.) paired with a banana-chocolate cake. Heaven! 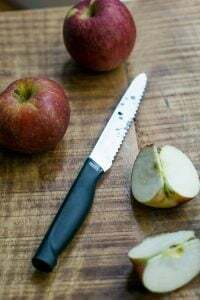 There are also lots of non-alcoholic beverages that can provide great matches for chocolate desserts, with the first and foremost being coffee. The flavors of coffee and chocolate were made for one another. As for teas, the berry notes in African (and especially Kenyan) teas play off chocolate beautifully — and believe it or not, Japanese green tea contrasts really well with chocolate, too. And a Champagne flute filled with a berry-flavored sparkling fruit juice or even a mint-flavored sparkling beverage like snow can be a fun pairing with a chocolate dessert.A As you can see, the possibilities are virtually endless! But our first encounter with chocolate and Banyuls, served to us by sommelier Jean-Luc Le Du at four-star restaurant Daniel in New York City, was one we’ll never, ever forget. David: Sorry but when I eat chocolate, it’s closer to “wolfing” than “sampling”. It used to freak French people out, but I’ve seen a few of them lately doing the same. I guess I’m a bad influence. But, speaking of wine, what’s the least amount of money you’ve spent on a bottle of wine? Karen: Two bucks. Can you guess what it was?? Andrew: When I worked in an Alaskan fishery, the local store would give customers who bought beer a free bottle of Thunderbird, just to get rid of it. Even given our standard 100-hour workweek and its price, it still wasn’t much of a bargain. David: Alaskan fishery and Thunderbird? Now there’s a story in there, and next time we get together, I want to hear more about that. So what’s the most amount of money you’ve ever spent on a bottle of wine? K & A: More than a decade ago, we saved our pennies and once splurged for a bottle of Chateau d’Yquem to serve on New Year’s Eve to an architect friend and his wife who had always hoped to try it. We used to it recreate chef Jeremiah Tower’s “Epitome of Decadence” dinner — d’Yquem paired with aged roast beef — he wrote about in his book Jeremiah Tower’s New American Classics, along with precise instructions to chew the beef, take a draft of wine, chew twice, and swallow. He swore that the experience was so intense that the only sound you’d hear was people falling out of their chairs! That sounded like fun to us. David: There are a few jokes I could make in there, but (uncharacteristically), I’m not. So why does everyone like California Chardonnay? It’s truly awful stuff; thick and oaky. After I drink a glass, I feel like I need a toothpick. It’s like drinking an oak tree. Why do people keeping buying it? K & A: As usual, you raise a great point about wine: There are wines that you couldn’t pay us to drink by themselves that can be peak experiences when paired with the right dish. As for oaked Chardonnays, we’re with you when it comes to drinking one. But a year ago, sommelier Joe Catterson of Alinea (which was just named the #1 restaurant in America in the new issue of Gourmet) served us an extraordinary pairing. By itself, the Slovenian Veliko Bianco was an oak bomb, and was said to have been aged three years in new oak, a year in old oak, and three months in the bottle. We each took a sip — and shuddered. So it was a revelation to taste it again after the Dover Sole with “mostly traditional flavors” (albeit in powdered form) that it accompanied, and to see the combination surprisingly rise to a +2 (our highest rating, on our -2 to +2 point scale). David: To be honest, after dinner, by the time I’ve hit dessert, I’ve had way to much to drink already and can’t drink any more wine without things getting embarrassingly messy and people talking about me for days afterwards. But I once had Claudia Fleming serve me Belgian fruit-flavored beer with dessert, called Kreik, which was amazing (as were Claudia’s desserts)-surprising and refreshing. What do you think of that pairing? K & A: We love Belgian fruit-flavored beers, and urge anyone who’s never tried one to do so. The essence of fruit in these beers — whether the flavor of cherry in Kreik, or of raspberry in Framboise — is staggeringly delicious. 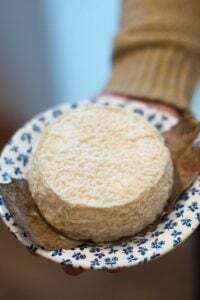 And they’re great matches not only for chocolate desserts, but also for custard-like desserts, cheesecakes, berry tarts, and even fresh, creamy cheeses such as mascarpone. We both really like the carbonation that beer provides, which helps to cut the richness of a dense dessert or cheese. David: It’s funny. In America, people drink coffee with their dessert, but in Europe, that’s a big faux pas. 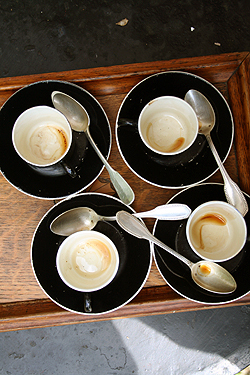 Europeans use coffee like a final, little punctuation mark to a meal. And they never add milk to coffee after a meal. Can you explain your philosophy on coffee after dinner to my guests and readers…so I don’t have to explain it anymore? K & A: We don’t know that we can explain it. As we said, chocolate and coffee can be ethereal together, so it just sounds like good common sense to us. Those tea people freak me out. They’re like pod-people or something, living in a parallel universe of civility and good-taste. I’d love to learn more about tea (so I can become civilized and have good taste too), but I don’t know if I’m ready to be one of “them”. Is there help for me? Do tea drinkers scare you too? K & A: We’ve been privileged to have some of the most extraordinary tea tutors in North America — such as America’s first tea sommelier James Labe, Canada’s first tea sommelier Michael Obnowlenny, and Japanese tea ambassador Kai Andersen — so we’ve been spoiled. (Note From David: I’ll say…) They are as cool and passionate about tea as the best of the wine sommeliers are about wine, and they’ve taught us a lot. Here’s tea and food pairing in a nutshell, using gross generalizations: Think of green and lighter oolong teas like white wine, and black and darker oolong teas like red wine. What would you pair with white wine? White meat, chicken fish. What would you pair with red wine? Red meat, lamb, game. When it comes to flavored teas, which can be awesome, think about classic flavor combinations that you already love. Blueberry tea is a revelation with banana pancakes. Maple tea goes great with butternut squash or pumpkin. From there, you can play around. Tea can be fun, we promise! David: I’ve never heard of some of those fruity teas. I only know black currant and Earl Grey, scented with bergamot. 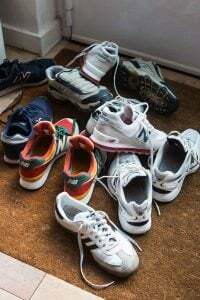 I must be living in an aspirateur, or vacuum. On the other end of the spectrum from tea is Champagne. I was at a fancy party where ‘vintage’ Champagne was being served. While the bottles were lovely, the Champagne was quite rich and full-flavored, not the dry, refreshing sparkler I’m used to. 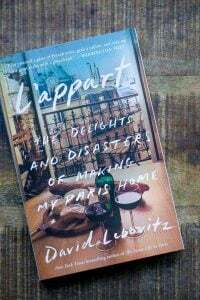 The hostess, a prominent and famous cookbook author, told me that I didn’t know how to appreciate good Champagne. Am I a rube? K & A: We think any hosts who take their guests to task are probably in need of the response of a good etiquette book as a thank-you gift (! ), unless this one did so with the passion of a gourmet who dearly wanted her guest to share her enthusiasm for a particular beverage. But it sounds like lessons and insights were not forthcoming, which is a shame. It’s eye-opening to learn about all the delicious varieties of Champagne out there, which can range from brut (dry) to sec (slightly sweet) to demi-sec (sweet) to doux (sweetest). There’s also Blanc de Blancs (made with 100 percent Chardonnay grapes) and Blanc de Noirs (made with 100 percent Pinot Noir grapes). Sounds like you might have been served a Blanc de Noirs, which is richer and more full-flavored than your “standard” Champagne. Each type of Champagne has its own peak pairings. You’ll want to serve drier (i.e. brut) Champagne as an aperitif or with foods like oysters, smoked fish, and sushi. And you’ll want to save sweeter Champagnes for desserts and pastries. 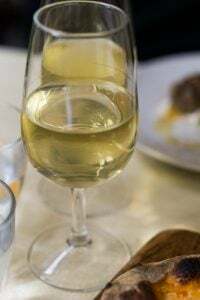 Regarding the latter, a good rule of thumb for all dessert wines (Champagne included) is to make sure the wine is as sweet or sweeter than the dessert it’s accompanying. K & A: Fair enough — hit us! K & A: Do frozen fish sticks have any flavor, other than what they’ve absorbed from their cardboard packaging? Yes, we’re kidding again. You want to be guided by whatever you’re dipping that critter into. Are you a ketchup man? If so, you want a slightly sweet wine to play off the ketchup — like a white Zinfandel. (If you’re eating fish sticks, you can’t cop any attitude, so you might as well drink a white Zin.) Is tartar sauce more your thing? Just remember that “tart likes tart,” and pair it with something with some acid. And mayonnaise pairs surprisingly well with a gin martini. If you’re avoiding alcohol, how about sparkling water with a squeeze of lemon? Those bubbles and the lemon will cut through the fattiness of the fish sticks, so you can eat even more! K & A: After having spent a year waitressing at an ice cream parlor while in high school, Karen is the expert here and suggests water — ice-cold, still water (no bubbles) — which is the ideal palate cleanser for ice cream. Andrew, on the other hand, prefers coffee, which goes so well with the chocolate and nuts. K & A: Coffee or espresso. Preferably sitting outside in a cafe in Paris. K & A: No question: Dr. Brown’s Cel-Ray soda, which is a celery-flavored soda. Don’t knock it (like we did) until you’ve tried the combination. It’s extraordinary! 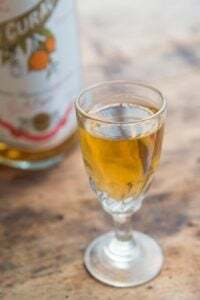 K & A: Since Andrew has a childhood tapioca bruise, he’s passing this one on to Karen, who envisions a nice cup of maple tea — or something like tawny port or Sauternes, if she were in the mood for something a bit stronger. K & A: While oyster fans alternatively recommend Champagne, sake, Sancerre, or vodka with oysters, the buttered rye bread gives vodka the edge here. K & A: Zinfandel. Or a chilled rosé, if it’s really hot out. Or a nice smoked beer (a little intense on its own, but the combo is great). K & A: Sparkling wine, like Spanish cava, Italian prosecco, or German sekt. Don’t waste a fine Champagne on the combo, because if you like as much butter and salt as we do on our popcorn, its subtleties will be lost. K & A: A glass of slightly sweet sparkling sake, to enjoy the study of rice. K & A: You’ll have to understand that caramel corn is a sacred ritual to us. There are few things more delicious on this planet than the Caramel Crisp at Garrett’s Popcorn on Chicago, served hot and buttery and loaded with caramel coating. It deserves to be eaten on its own.The only worthy accompaniment we’ve found is Garrett’s equally hot, buttery and loaded with cheese Cheese Corn. K & A: Here we defer to someone who knows more about Italian wines than almost anyone we’ve ever met (with the possible exception of Joe Bastianich and David Lynch of Babbo), Piero Selvaggio, owner of Valentino restaurant in Los Angeles. He recommends a regional pairing from Liguria — the home of pesto — such as Albenga, Cinque Terre, or Vermentino. They all sound pretty good to us! Andrew: I’m with you — and with Billy Crystal’s character in “When Harry Met Sally,” who eats them on New Year’s Eve, praising them as the world’s greatest cookie. You can’t go wrong with an ice-cold glass of milk. Or, if I were alone on New Year’s Eve pining over the love of my own life, I might have something a little stronger with it, like the aforementioned Chocolate Decadence Martini (whose recipe is on our Blog (9/28/06) on our own web site, if you’d like it) which I sampled for the first time last week. David: Okay, so I couldn’t stump you, but the martini sampling sounds like fun! I’ll check out the recipe. So one last question: You know all these famous hot-shot chefs and you hob-nob with the superstars. Aside from me, tell us about a really bad experience you had with someone famous, preferably someone on Food Network. You don’t need to give us a name (although perhaps if 50 readers commit to buying your book you’ll reveal who it is) tell us the worst, most atrocious, meanest, rudest, horrible famous chef behavior you’ve ever witnessed. Feel free to use names, objects thrown, or anything else to embellish the story and brings you slightly closer to litigation. K & A: As not all of your many readers will have had the pleasure of meeting you in person, you have to let us testify that you are as knowledgeable and passionate and fun in person as you are on your award-winning Blog! We’re very fond of several of the TV cooking show stars we’ve met and interviewed for our books, including chefs Mario Batali and Rocco DiSpirito. We’ve had great fun over dinner with Tony Bourdain with our mutual friends, and at cocktail parties with the lovely and hilarious Daisy Martinez. That being said, we once read a West Coast food writer’s column about her shockingly appalling encounter with an East Coast Food Network star with whom we had also had a rather appalling encounter. We had never met the writer, but we called her immediately and left her a sympathetic voicemail saying, “It’s not you — it’s HIM.” We definitely bonded over that! Okay, I lied. One more question. When are you coming back to Paris? K & A: Not soon enough! If you and all your readers manage to help us turn our new book What To Drink With What You Eat into a bestseller, we’d love to come back over Christmas. But whenever it may be, we’ll look forward to sharing more chocolate with you then! David: Thanks so much for taking the time to chat. 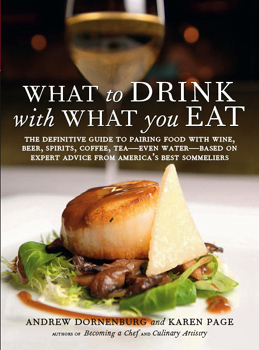 I can’t wait to really read through my copy of your book, which is full of interesting and creative ways to pair food and drinks in ways that people might not have thought of before. And next time you come back to Paris, would you mind bringing me some Mallomars? I seem to have a thing for marshmallows and chocolate lately. Thanks for the great website, blog, and interview. Definitely fun to read. 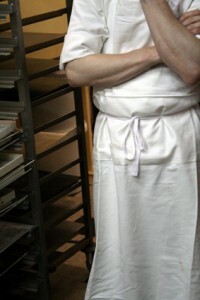 As for Food Network star that K & A had a bad encounter with – my guess would be Bobby Flay. Hands down. The man’s smarmy-ness practically oozes through my TV, so I’m guessing he’s 10 times worse in person. You should try Kusmi tea, it may make you a tea lover. My favorite is Prince Vladimir. 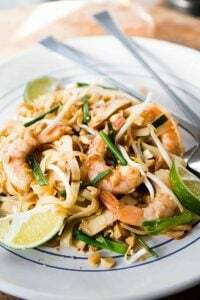 David, have you seen Chef2Chef.com today? It is dedicated to this wonderful new book. Who says there is no such thing as coincidence? Thanks for the wonderful interview. Great interview! And I agree with Deb — it’s gotta be Bobby Flay, what a tool. Thank you for doing that interview, David. It makes me want to buy that book! It sounds like you all had a lot of fun. Very entertaining interview – the book looks great. On the other hand, I just can’t get the caramel-buerre-sale out of my mind. I am a chocolate person, never considered caramel, and now my mouth waters whenever I think of your Henri Le Roux post. I can’t come to France just now but would you recommend where I could find a close copy here in Berkeley? SF? I even tried caramel ice cream at ICI – delicious. The chocolate was very good as well. Please? Many thanks. How am I going to beat that david, great as usual, I had a computer crash just as i was editing a great interview with bread baker and website admininistrator Graham Prichard, http://www.sourdough.com.au hope to get it on by the weekend, again alway’s a pleasure to watch your show, the jeans and Rocco, I tried getting him on my blog, too much bother, he isn’t cooking now so, but I gae him the benefit of the doubt! 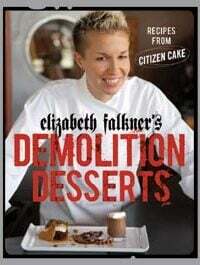 I read their book, Culinary Artistry, from cover to cover while I was in cooking school in Chantilly! Fantastic post! I’ll be putting the new book on my Amazon list!! Ok, so we’ve got 2 votes for Bobby Flay. Does that make it unanimous? Any other guesses? AmyB: I plan to do a post on making salted caramels in the future, but I’m a bit behind on things. In the meantime, have you tried Michael Recchiuti’s burnt caramel sauce? Jeremy: Rocco must be very busy right now. After all he’s got the…um, the thing he’s…uh…working on. Right? Kate: Thanks for the tip. I have been to Maison du Trois ThÃ©s, which is rather exlusive. They were helpful and interesting, but since you need an appointment to look at the ‘secondary’ tea list, I got scared away. I need to stop being Tea-Phobic, I presume. David, thanks for another interview that widens one’s horizons. Hope you’ll post more in the near future. Hi…first time here and I already saved your blog to my favorites. I’m thinking I would like to be you for a day…especially on a day that you get to photograph chocolate covered marshmallows, or do food-interviews. By the way, is that a tiny orange retro tupperware plate? I’ve got and ues that set at least once a week. SO, someday, if I should ever break free from my little world and venture to Paris, your people could call my people and maybe we could do lunch. Or anything chocolate. If it’s not Bobby Flay, I’m guessing Tyler Florence. He appalls me. Such a great interview! I want to buy their book. I loved all the food pairings you threw out to them. I think the chef in question is Bobby Flay. A co-worker’s husband used to work at Mesa Grill with him and she claims he’s a total cad. Thanks again for the entertaining and educational interview.